Swedish Rye Whisky from Hven Distillery – Hvenus 45,6% ABV! "Every batch comprises of 42 casks blended together, aerated and very gently filtered before bottling at 45,6 %vol. No charcoal filtration, no color or sugar added just well- made whisky matured on the best American oak (Quercus Alba) we could find. The final grain recipe after blending the forty-two casks from four different recipes together are; 78,6% rye, 11,9% wheat, 4,8% corn and 4,8% barley. The casks are matured three to six years, partially in warehouses with controlled climate conditions. All to create a whisky with unique smoothness and bouquet". My interpretation of this info is a). this is the first batch (there will be more batches) of Hvenus Rye, and b). we are not talking about a mixed mash bill consisting of rye, wheat, corn and barley, rather we are talking about four separate whiskies each made from these grains, then matured, and then blended and bottled. Here in Sweden Hvenus is released at the state monopoly tomorrow, and you can view the product by clicking here. Ok, let's see what we have on the nose! Very much like a bourbon with a high proportion of Rye in it! Or maybe something like a young but fullbodied grain whisky... anyways, aside from loads of vanilla which has a grain-y kind of bite or tang to it, I also pick up something very violet-ish paired with lemon juice (mouthwatering stuff folks!). When nosing deeper and harder some very gentle wood/oak pops up. The wood, which draws more on european oak than american oak, is definitely and interestingly enough paired with something just a tad metallic (rusty iron/sun warm train tracks). The strength/ABV does not feel above 40% and there are no signs of this being a young whisky. In general, this is a very ”calm” dram, where nothing on the nose feels ”out there”, in other words, absolutely great balance! Ok, let’s taste! Mmm, once again, great balance for sure! Starts of very, very soft on gentle vanilla and banana candy (bananskum), there is more vanilla than banana candy. Quite fast into the immidiate taste it moves on from there and into that grainy bite from the nose and a slight touch of the strength pops up together with herbyness and spicyness. In the distant, there is also some spruce/fir. The taste ends rather quickly, leaving me with a slight bitterness; bitter almond, white sugar syrup and maybe a tad of light liquid honey. Once again, there are no signs of this being a young whisky, except for the quite short taste/taste development. To me, this is definitely a great everyday dram, although with some degree of complexity both on the nose and on the taste (I’d say that it’s more complex on the nose than on the taste). The taste ends quite quickly and has some watery elements to it (in the aftertaste), but it’s a great feature that the whisky actually does have a bit of power (alcoholwise) and herbyness to it on the taste, since this makes the restrained flavour-jorney exciting and interesting, and you really understand that this is a Rye whisky! 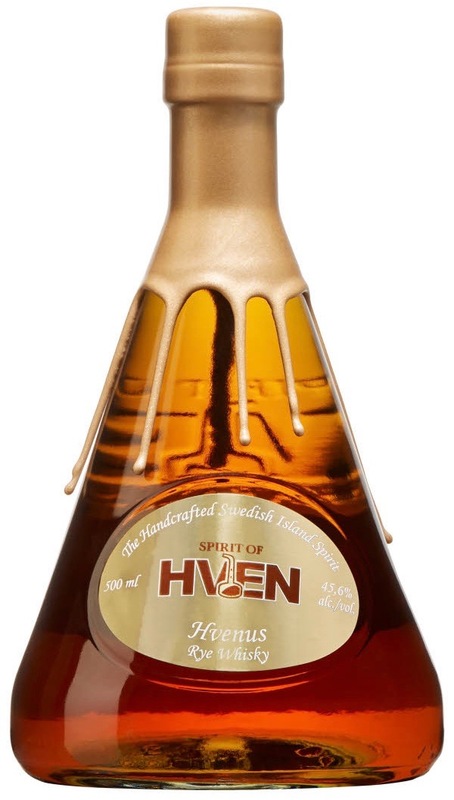 Also, a great experience that there is now a Swedish Rye whisky that will hopefully stir the swedish whisky scene up a bit! And hey, for 395kr ≈ €39, this is really some serious bang for the buck! Finally, big thanks to Camilla at Hven for the opportunity to try this stuff! For kind of weekly updates please make sure to follow my FB-page by clicking here, my instagram by clicking here, and my twitter-page by clicking here. Copyright © and All Rights Reserved on all tasting notes and text by SamuelWhisky and pictures and videos likewise belong to SamuelWhisky, unless stated. If you would like to use any such material that belongs to SamuelWhisky or associated with SamuelWhisky, please ask by sending me an email to samuelkarlssonorebro [at] gmail [dot] com and by stating the source.